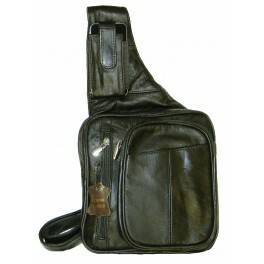 Across-the-body side bag in lambskin with cell phone pocket, large zip body, inside zip pocket. 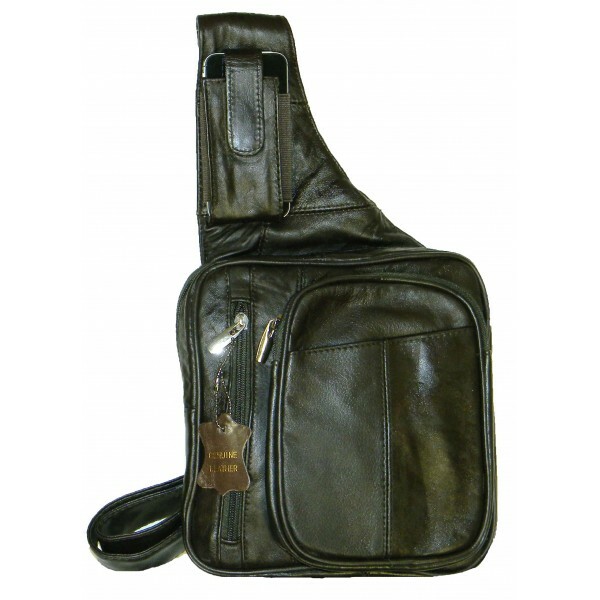 Front zip pocket with pullout mesh water bottle holder, organizer section holds glasses & 5 credit cards, and velcro pocket. Back easy reach zip pocket. 1.25" adjustable strap. Available in black and brown. 8" x 8.5" x 1.5"